If the booking is canceled with in 24 hrs of arrival, one night will be charged and the rest of the booking will be cancelled. 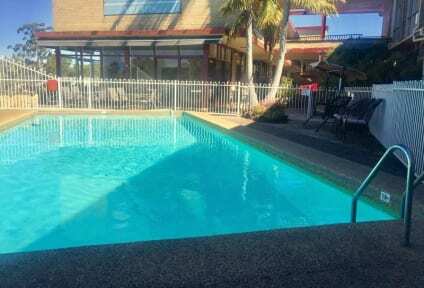 Within 15 minutes' drive of Sydney Olympic Park, Red Star Hotel West Ryde, boasts an outdoor swimming pool, onsite bar and restaurant. Most rooms offer lovely views of the adjacent golf course from the floor-to-ceiling windows. All rooms offer new air-conditioners and soundproof glass. They feature a lounge area and a flat-screen TV with cable channels. They also offer tea and coffee making facilities, a refrigerator and a private bathroom. 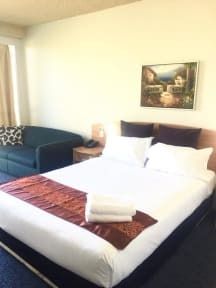 Some rooms overlook the beautiful Ryde-Parramatta Golf Course. Fair Way Restaurant and Bar serves modern Australian cuisine and boutique Australian wines. It is open Monday to Sunday for breakfast and Monday to Saturday for dinner.